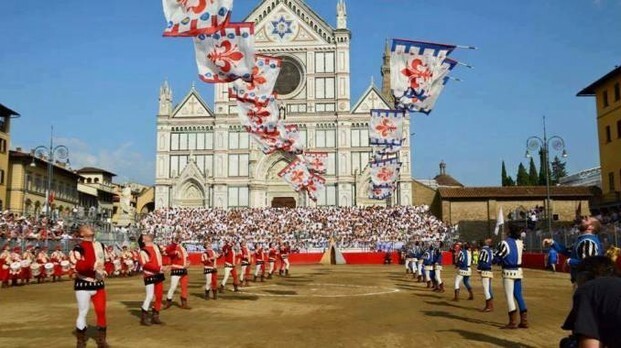 Saturday, June 9th and Sunday 10th will be the two semi-finals of the 2018 edition of the Calcio Storico Fiorentino. 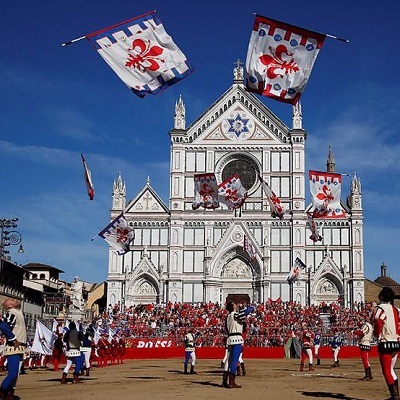 The first match will see the Azzurri of Santa Croce and Rossi of Santa Maria Novella in the field, while the second match will be played between the Verdi di San Giovanni and the Bianchi di Santo Spirito The final, as every year, will be held on June 24th. 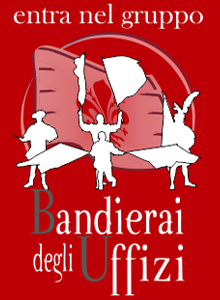 The “Bandierai degli Uffizi” will perform before each game.